The first MoT for new cars will remain at three years after plans to extend it to four years were scrapped. A Department for Transport (DfT) consultation in 2017 considered changing the period before the first test to four years, a move that was met with significant concern by HonestJohn.co.uk. Indeed, after a protracted fight with the DVSA to make the data public, we were finally able to analyse millions of MoT records and discovered that the potential changes would have meant 385,000 unroadworthy vehicles remaining on UK roads. That works out as one in six cars with most failing due to unsafe brakes, lights and tyres. According to the DfT, most of those responding to the consultation were against the proposals on safety grounds, arguing that the savings to drivers - estimated at around £100 million a year - were outweighed by the risk to road users with the MoT test often highlighting upcoming issues with a vehicle. Roads Minister Jesse Norman said, "Although modern cars are better built and safer than when the MoT test was last changed 50 years ago, there has been a clear public concern that any further changes don’t put people’s lives at risk. We are looking at further research to ensure the MOT test evolves with the demands of modern motoring." 4 years or 40000 miles whichever is soonest ! Given the number of vehicles driving around with defective lights we could do with a test every 6 months! Tyres & brakes can be worn out by 20,000 miles. How about 3 years or 20k miles? To do it by years is crazy, a Rep can easily do 50k miles in a year. what about mini tests every 6 months and full test every 2 years? Huge number of fails are for little, easily fixable things like bulbs and blades, why have so many full tests? 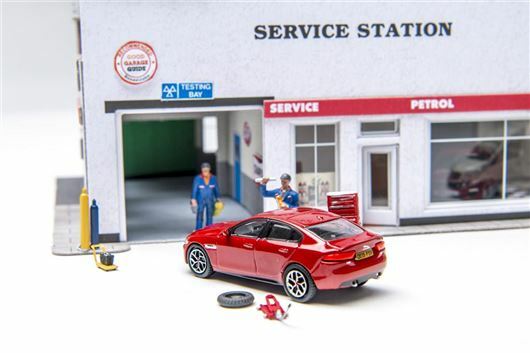 The loss in business for garages could be picked up with more servicing. Cars would last longer and roads could be safer. Someone in the government must have heard only half the story, in France they have an Mot in the 4th year yes. What they didn't bother looking at was they have one in the second year as well and every 2 years after that and if your car fails on a minor point when you go back for a retest you only pay for how many items your car failed on, not a full retest, a retest could cost you only £10, as long as it is tested in a short period after. What is amazing is that how many "civilised" jurisdictions (30 US states, half of Canada's provinces) have no equivalent to the MOT at all. I guess drivers in the UK really need to be protected from themselves as only an idiot would drive an unsafe car - so either the average British driver is suspected of being unaware or ignorant - no other plausible explanation. Judging by the comments above, some may feel an MOT once a week (or perhaps before any drive over 20 miles?) is a good target. How about a 'test' every time the vehicle is driven? Jeez, the amount of finger-pointing jobsworths on this site is depressing. It's illegal to drive a defective vehicle, (lights, tyres etc) whether it's ten years old, or ten days old. I saw a police car on Saturday in Nottingham with only the nearside front headlight working. Wonder if they got a ticket? Pure government cave in to the capitalists running the country. It is money that talks if it was safety there would be hundreds more speed cameras in operation as no one keeps to teh 30 limit where I live but no one is interested because no one has been killed.